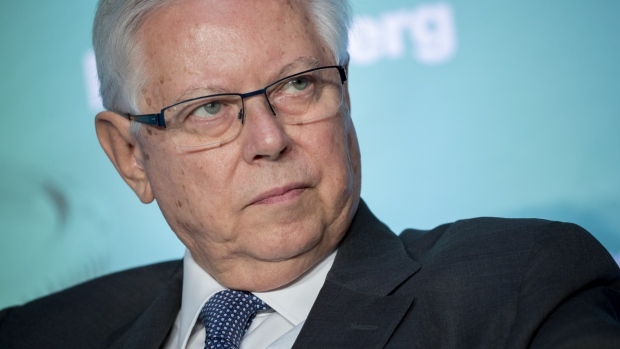 Walgreens Boots Alliance Inc. (WBA.O) is facing a reckoning and it’s hitting the drugstore chain’s billionaire chief executive, Stefano Pessina, in the walllet. Beset by bruising retail competition, changing drug-price economics and consolidation among its rivals, the company saw its shares fall Tuesday by the most since August 2014, sinking 13 per cent to close at US$55.36. The plunge came after the chain posted lower second-quarter profits and cut its guidance for the fiscal year. Pessina, a multibillionaire who owns 15.4 per cent of the company, saw his net worth decline by US$1.18 billion, from US$11.35 billion to US$10.17 billion, according to the Bloomberg Billionaires Index. There were few bright spots for Walgreens in the past three months, a period Pessina said was the toughest in his tenure as CEO. At its pharmacy counters, the source of two-thirds of its U.S. sales, Walgreens filled more prescriptions but was hurt by smaller reimbursements from insurers. Meanwhile, same-store retail sales fell 3.8 per cent in the quarter as shoppers picked up fewer cold remedies and tobacco products. Pessina, who resides in Monaco, has made and lost billions from his Walgreens holdings. He first received a stake in Walgreens in 2012 when the company bought 45 per cent of Alliance Boots, the British drugstore chain he then chaired. After Walgreens acquired the remaining 55 percent of Alliance Boots at the end of 2014, Pessina’s net worth was almost US$11.7 billion. His wealth peaked at US$15.3 billion in July 2015. Those purchases, completed last year, have brought Walgreens to a total of 9,560 U.S. stores. Walgreens said Tuesday it would close 750 U.S. stores, up from a previously announced 600. And it boosted its cost-cutting target to more than US$1.5 billion a year by fiscal 2022, from more than US$1 billion.